I am absolutely in love with my new dress! This was actually the beauty I had planned to wear to Blogger's Boutique, but just my luck when I went back to buy it, it was sold out. However fate knew that I love a bargain, and I picked a brand new one up for £10 cheaper on eBay a week ago :) I absolutely adore it and can't wait to wear it on holiday over a bikini! I'm gradually collecting new furniture for my room, I went from shabby chic tiny box room to all white master bedroom, thanks to my cute parents who let me swap! I've given my French Louis style furniture to my mum and i'm going for more modern, clean white furniture now. I'm off to Ikea this week (fave place ever!) to get my new shelves, so once everything is sorted I might do a little room tour post or video if anyone is interested? For now here is a pic of the bits and bobs on my new desk :) Most of the bits are collected from car boot sales over the years. 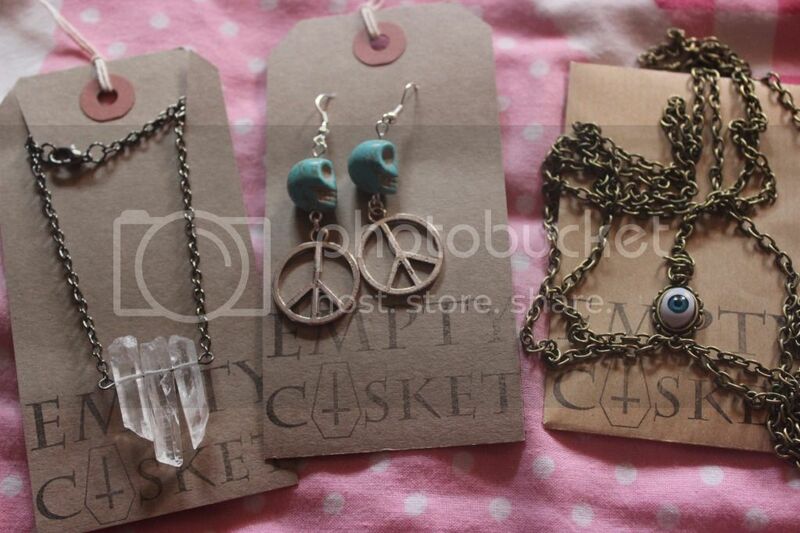 I received the cutest little package last week from the lovely peeps at Empty Casket. 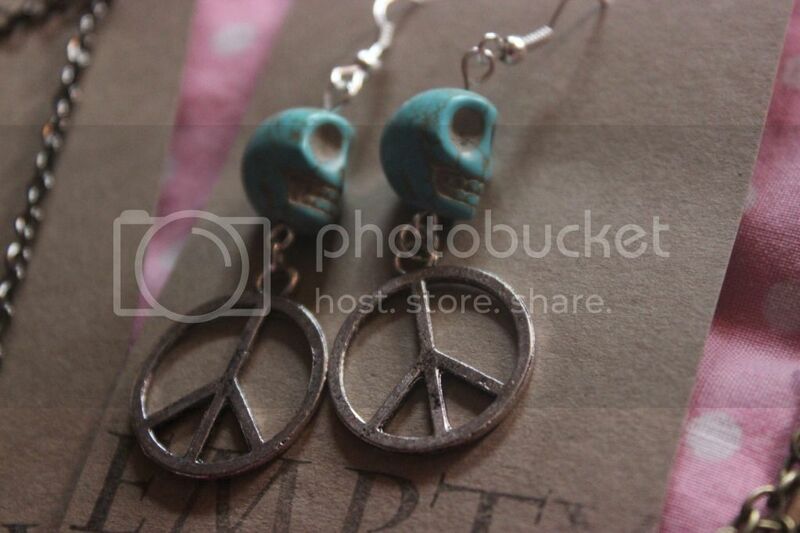 You simply MUST go check out their website, they make the coolest, grungiest jewellery with skulls, peace signs, evil eyes, crosses, spikes and more. Oh I love that dress!! It looks lovely on you, so jealous! ah so amazing! and i love the Vivienne westwood bag! GAHHHHH! 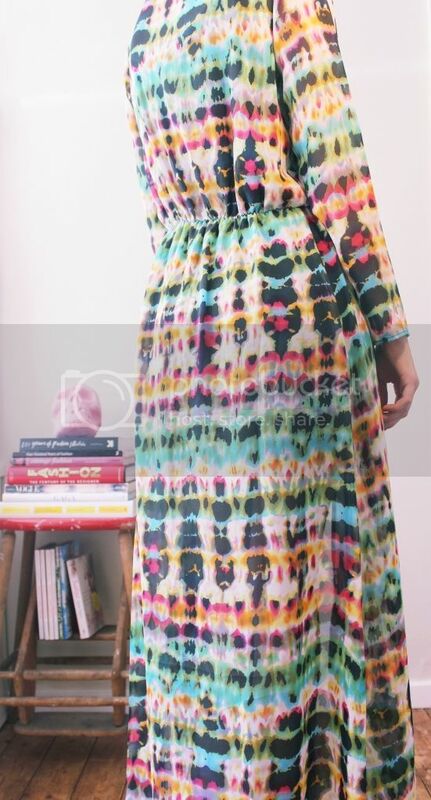 The perfect tie dye dress indeed, Im such a huge fan of tie dye, and this dress is perfect! I love the way you styled it too! You look so lovelyyyy! such a beautiful piece of tie dye. i have that bag, but you wear it waaay better than me! Thats a cute outfit!! You def pull it off! 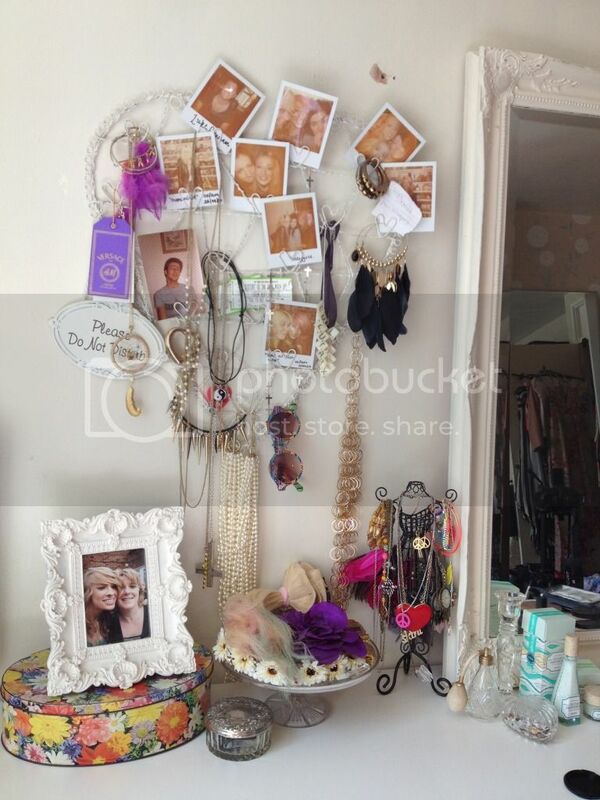 BTW I adore that little table you have all your jewellry and photos! That is adorable!! 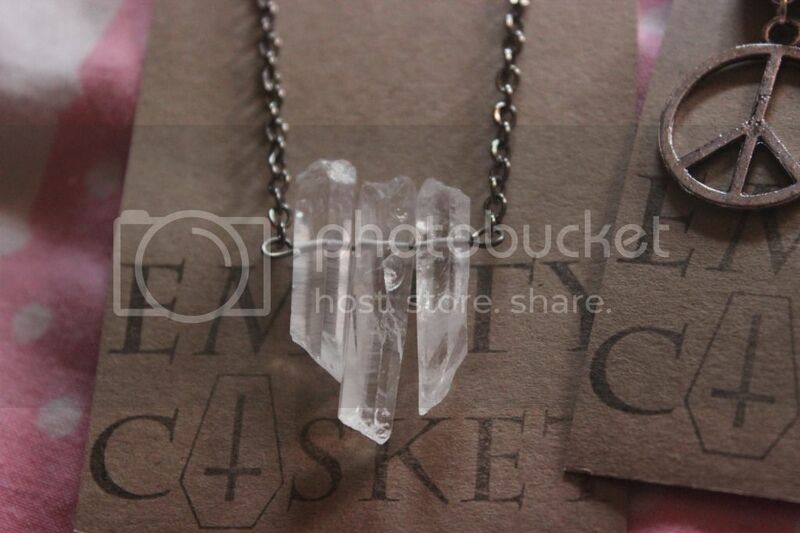 And the last thing I'mma say is I loveee that crystal necklace from Empty Casket!! I always try to find crystal jewellry! 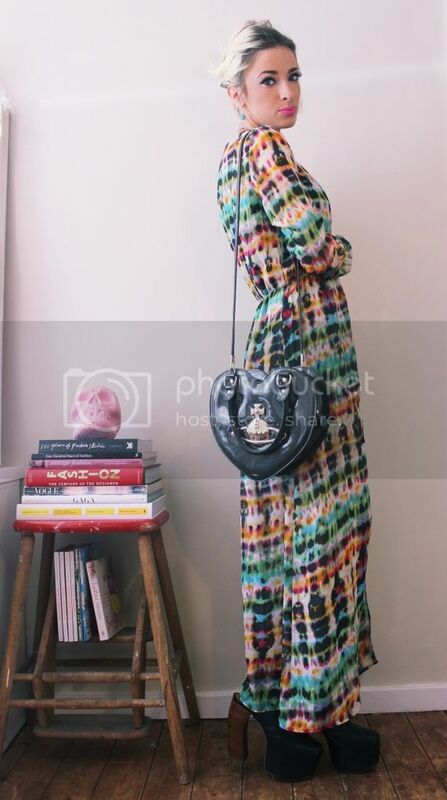 OOO the tie dye dress is awesome and the jewellery I die! 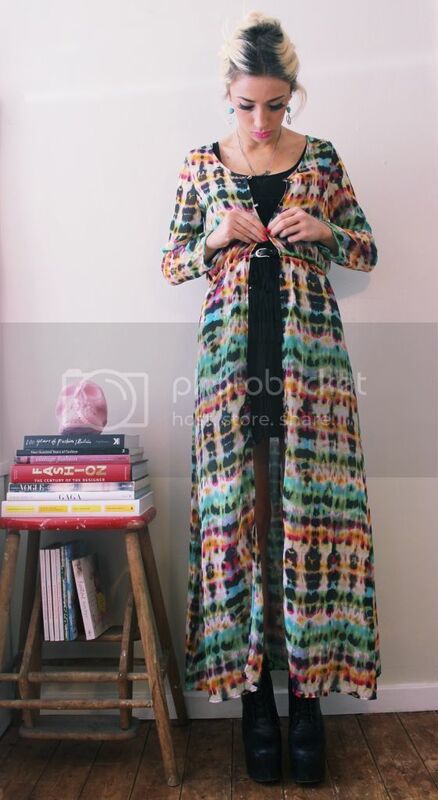 The tie die looks amazing on you! You look the perfect mixture of hippy and class. stop. stop. just stop being so stylish. ugh. 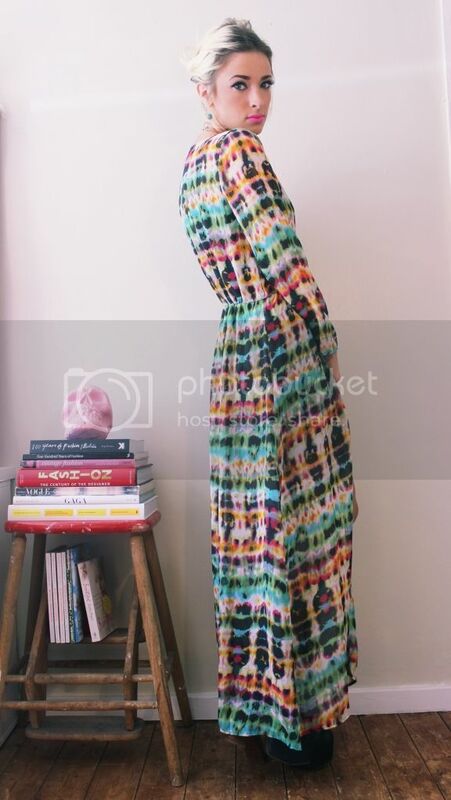 That is actually the perfect maxi dress! 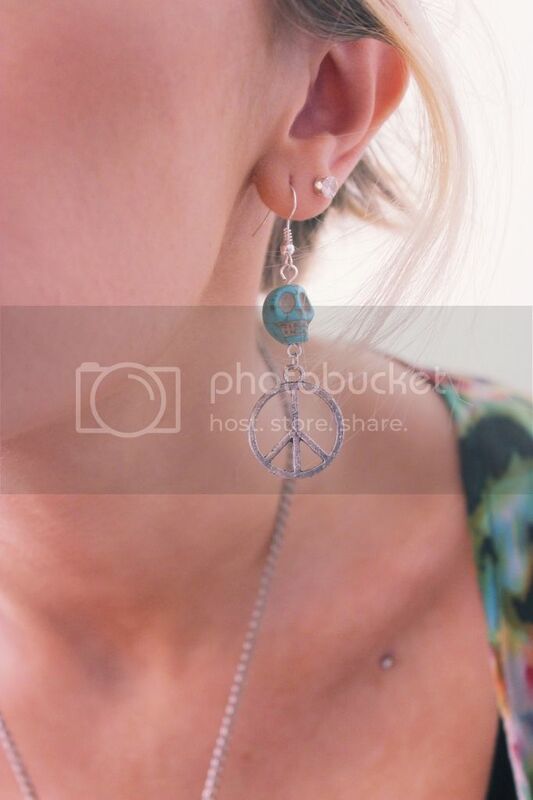 Love how you styled it - and the jewellery is pretty cool! 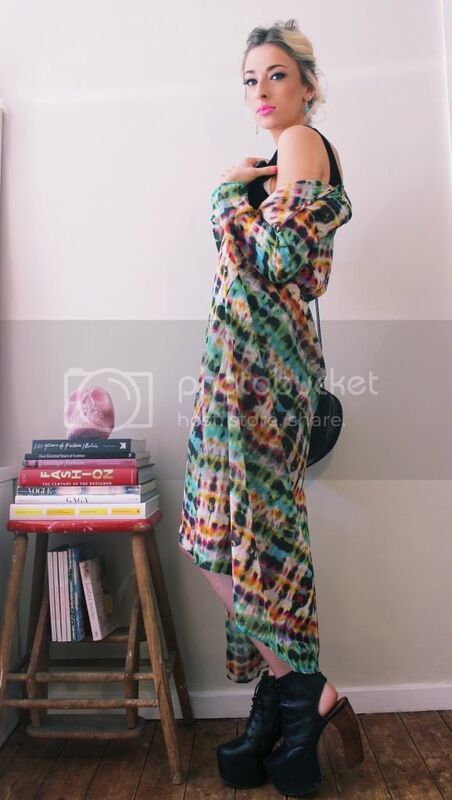 i am so in love this whole entire outfit, but that tie dyed dress is absolute perfection! love that maxi so much!!! also have to get to a car boot sale pronto!! the cape is beautiful I want one exactly like this! If you like my blog, then feel free to follow me. Please don't ask me to follow you as i'm more likely not to! Tremendous post !! Your dress and accessories is very nice. i also like your earrings.